Get out of town with these interesting Grand Canyon National Park side-trips: Glen Canyon Dam (in Tonalea Coconino County), Supai (Havasu Falls, Havasupai Indian Reservation, & more) and Seligman (The Rusty Bolt, Return to the 50s Museum, & more). On the 28th (Sat), hike the day away at Bright Angel Trail. Spend the 7th (Mon) wandering through the wild on a nature and wildlife tour. 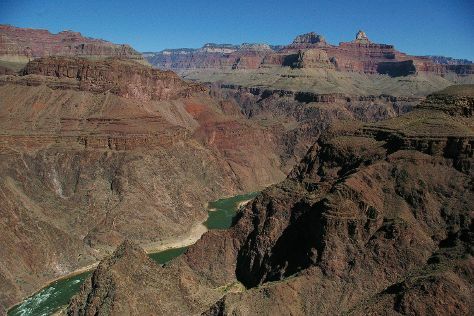 There's still lots to do: stroll through Rim Trail, trek along South Kaibab Trail, don't miss a visit to Grand Canyon Village, and see the world from above with a helicopter tour. To see traveler tips, photos, reviews, and tourist information, use the Grand Canyon National Park trip builder. April in Grand Canyon National Park sees daily highs of 19°C and lows of -3°C at night. You will leave for home on the 31st (Thu).